artist, originally uploaded by jahansell. 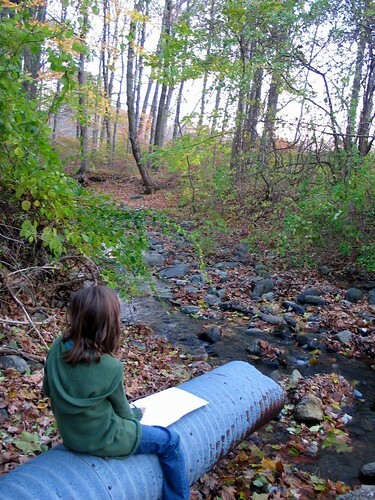 On a walk on the rail trail in Salisbury, a scramble down the embankment to the stream for some sketching and shooting. In the next days..please show us the result. By the way we can give comments to this young artist.